This 24-inch electric range by Premier features four cooktop burners under smooth glass, two at 8 inches, and two at 6 inches. There is a "hot surface" indicator light to warn against a hot cooktop. 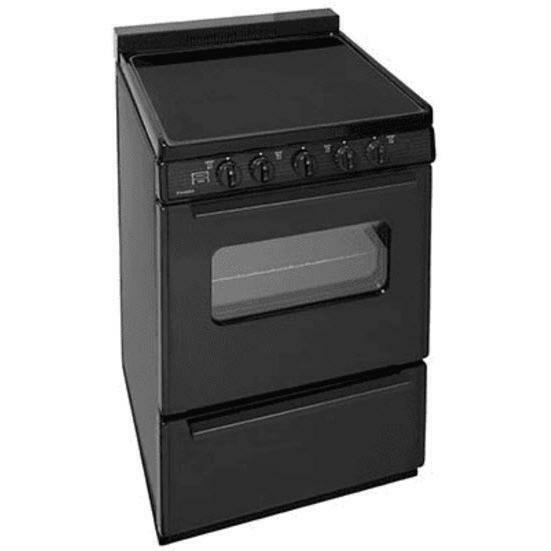 The oven features two adjustable racks, a broiler, and an interior light. There is a storage drawer at the bottom to free up space in the kitchen. Each of the range elements has an Infinite Control switch which allows you to choose just the right temperature for cooking any food.